Our objective is to seek out opportunities for successful commercial real estate in Phoenix for ourselves and our partners. We offer these same opportunities to you on a partnership basis. 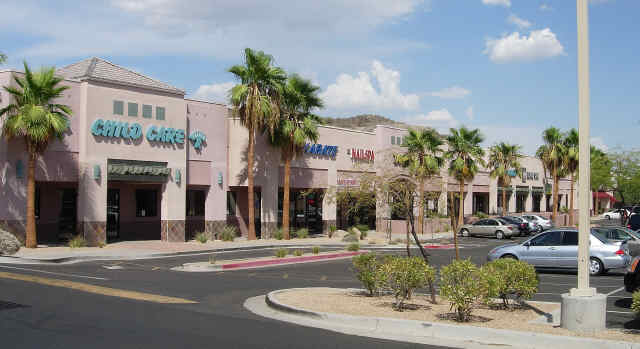 Over the last 30 years we have completed industrial and retail properties in the Bay Area and Phoenix. Most recently we completed 10 neighborhood retail projects in Phoenix ranging in size from 2 to 17 acres through its partnership, Kimmel and Young Properties. Each of these projects was developed from bare land. Depending on the situation we have raised the equity, secured financing and performed all aspects of the development process including site selection, acquisition, construction, leasing and sale of finished project. This process has required the vetting, assembling and managing of an effective team of capable consultants and contractors to insure the project’s success. All of our endeavors into commercial real estate in Phoenix have been successful and have been profitable to our partners. Represent you as a buyer in the acquisition of a property. Provide you with an independent analysis of a project ’s feasibility both in terms of the market conditions and using our economic metrics.